Living near a river or ocean has its own benefits. Almost all early civilizations grew up around a body of water because it provided food and water, along with all the facilities that water can provide. You could imagine that water is essential for life, so people living near a river or ocean could get free food by fishing. Water could also be used for agriculture and also provided a route for traveling. It’s not only for food, but people who live near a lake or ocean also get very mild weather. Because of the onshore winds, the land remains cool during the day and warm at night. The temperature never gets extreme. Nowadays, if you go near an ocean, you will always find restaurants with attractive seafood items. People also like to spend a day at the beach to relax and enjoy the sun. Seafood bar and grills near the ocean are very popular. But you don’t need to live near an ocean to grow your own seafood. All you need is a pond and the right techniques to grow your own seafood that could take care of protein needs for you and your family. You could even take it a step further and start your own restaurant, with a seafood bar, and start making money anywhere in the country because there is a demand for fresh seafood. If you have been reading our blogs, you should already know how easily you can build your own fishpond in your backyard. You should also know that you can grow a variety of different species of fish, such as surface eaters and bottom eaters, in the same pond. You can also consider growing some profitable seafood such as oysters. Oysters are often regarded as one of the perfect foods, rich in nutrients and great flavor. Oysters usually do well in sea water ponds with high concentrations of phytoplankton, and therefore, are high in nutrients. You will find that oyster babies or “spats” are readily available at hatcheries around the country and are not difficult to grow and reproduce. Gigas, or Japanese oysters, grow very fast and are very tasty when grown in phytoplankton rich water. They can also survive extreme heat and cold, although the most favorable temperature for them is about 68 degrees. To test if oysters will thrive in your pond, construct some plastic baskets or netted plastic mesh. Place a few dozen baby oysters in it and suspend the basket/ mesh onto the water outlet structures of the pond. Make sure that the holes of the basket/ mesh don’t get clogged up too quickly with dirt or other marine fouling organisms. Keep openings at the top and bottom of the basket which can be opened and closed, so that you could take the oysters out whenever needed. You can grow a large number of oysters in this way. Oysters need to be cleaned every few days because they produce large amounts of feces when they live in the plankton rich water. 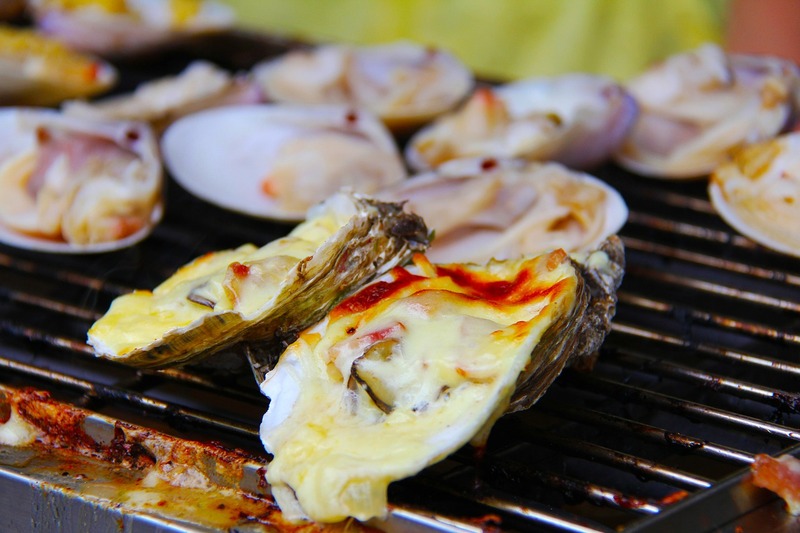 Oysters should also be cleaned and stacked head down because if they are kept one on top of the other, the bottom ones will easily get smothered with solid waste from the top ones. Another technique often used in keeping the water clean is to build a trough slightly lower than the pond. Have the water constantly running through one end of the trough to constantly renew the phytoplankton, making sure that all oysters are growing in algae soup. It is also important to keep this trough clean because the feces from oysters can cause build-up where hydrogen sulfide maybe produced. Oyster shells can also host worms, which should be monitored and cleaned regularly. Growing oysters in your pond is not difficult, you just need to try it using plastic mesh trays and flowing water. We will give you more details and further advices on how to turn around and make a profit out of your oyster cultivation farm, from your backyard pond, on our later posts. So please keep reading! Please leave a question or comment for us in the comment box below, and we will be happy to answer it for you. Your story was really iniotmarfve, thanks! thamks, very informtive. \can the oysters be bred in water temperatures in excess of 40 deg C i.e. in tropical dry weather.? I live in the northern part of New Jersey in a manmade lake community. The lake was created over 100 yrs ago and is obvioulsy fresh water. It is considered the one of the top 2 cleanest community lakes in NJ. The lake is damned and is lowered every 4 years to let the lakefront owner fix their docks, etc. The lake is stocked with fish each year and has a strick catch and release rule. I was wondering if a fresh water later like this one could successfully grow oysters, clams, and/or mussels? Thanks for your comment! I can tell you are dedicated to aquaculture. I’m not the expert, but will pass your question along to Dr. Wayne Dorband. 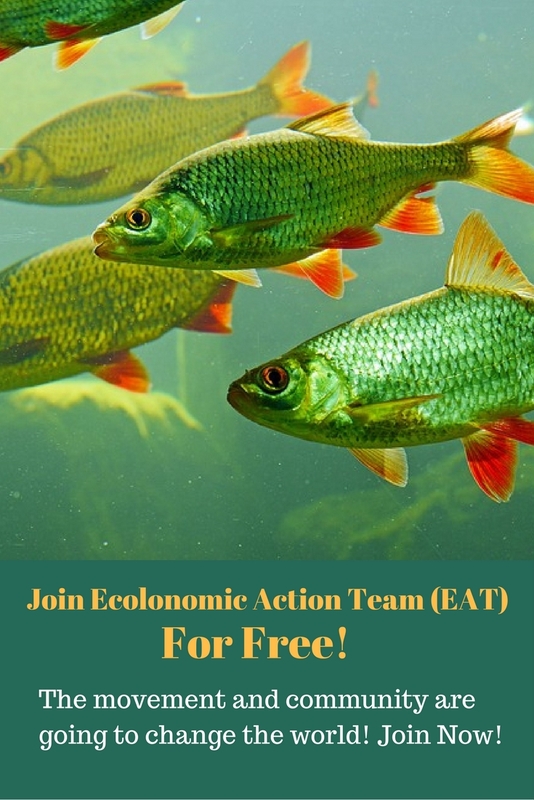 We have a very cool program that is free right now called the Ecolonomic Action Team (EAT) where we teach people how to “Make Money Making the Planet Better”. You can join that coaching/teaching/mentoring/networking program by going to ceed.mykajabi.com. but this article presents nice understanding even.